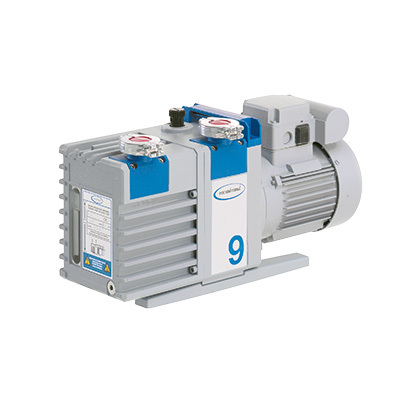 Product and ordering information for Rotary Vane Pumps. 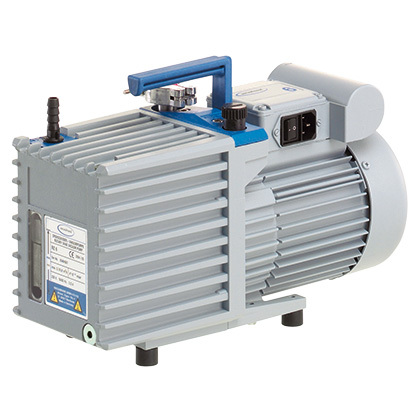 Quiet, rugged, and energy efficient vacuum pumps with a small footprint. Extremely low noise & vibration. Vacuum to 10-3 mbar. Free Air Capacity to 6 cfm. For applications requiring a greater vacuum depth than an oil-free diaphragm pump can provide, BrandTech® offers rotary vane pumps. VACUUBRAND® Rotary Vane Vacuum Pumps have been designed from the ground up for the best performance in laboratory applications. They are extremely low noise and low vibration, even compared to earlier VACUUBRAND® rotary vane models. Exceptional tolerance to water vapor with minimal impact on ultimate vacuum. Low power consumption and low levels of waste heat generation compared to competitive models. Take up less space and weigh less than comparable models. All VACUUBRAND® pumps and systems must pass rigorous product testing before leaving the factory. It's your assurance of a reliable pump. *All pumps 120V, 60Hz unless noted. 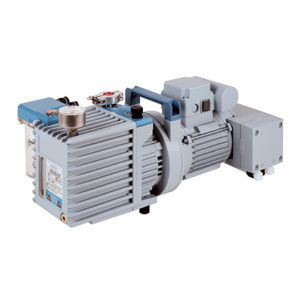 Dual voltage pumps sold with US power cords. Inlet Catchpots - Protect the pump at the inlet from particles and liquid droplets.